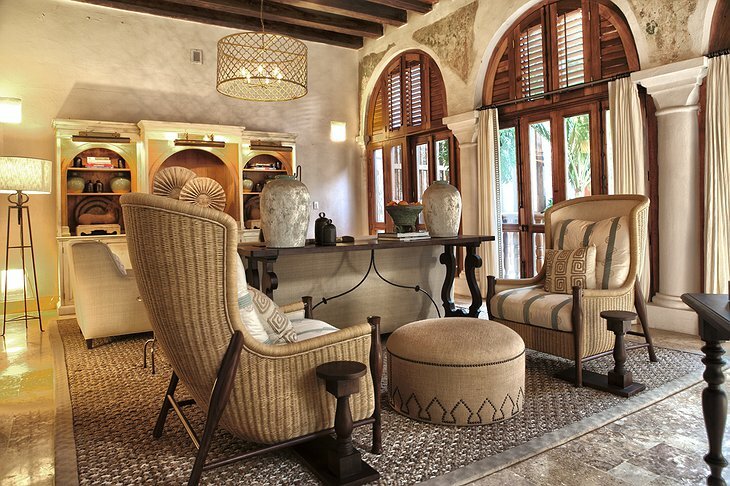 This quaint hotel has been restored carefully with the needs of the cosmopolitan traveler in mind. 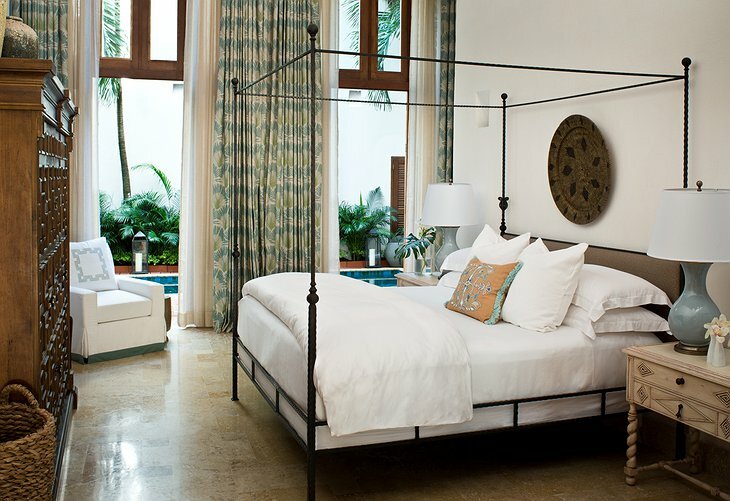 The three sun-gleamed buildings were built in colonial times and original frescos and wood-beamed ceilings remain key features of the new design. 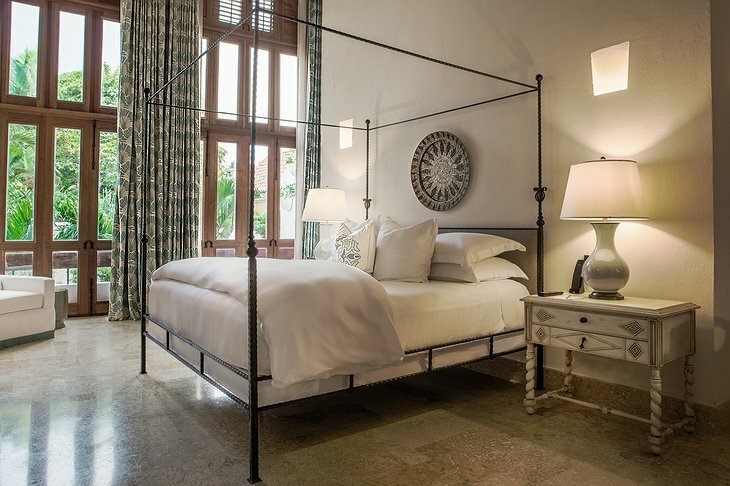 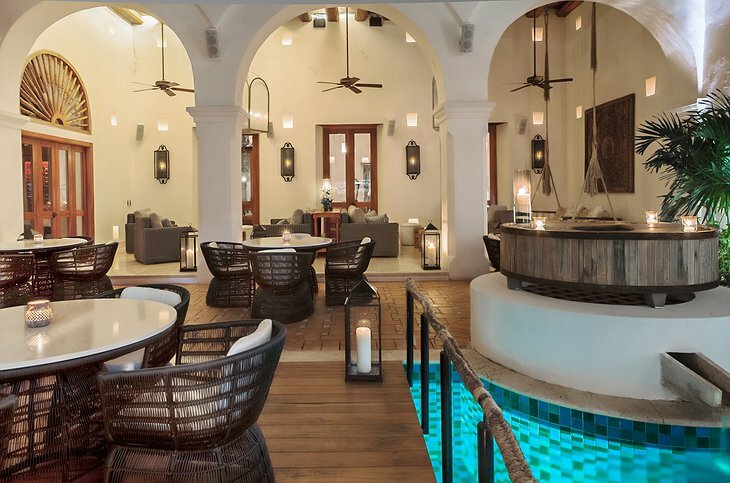 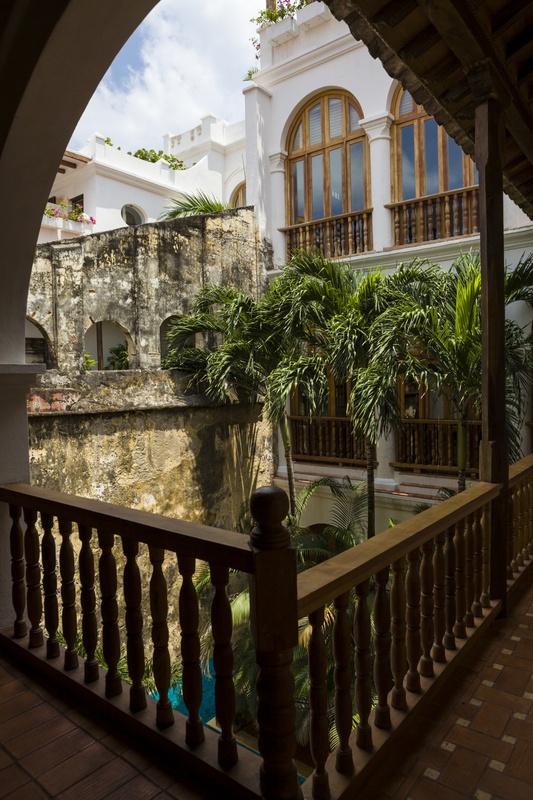 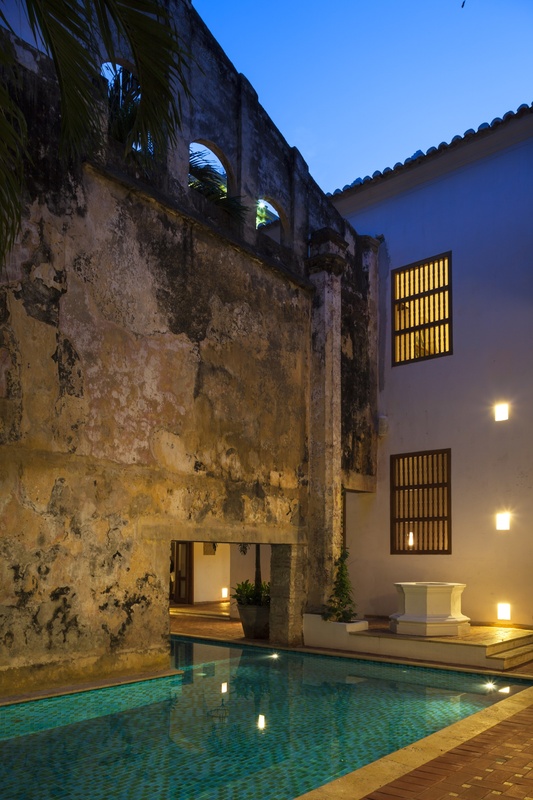 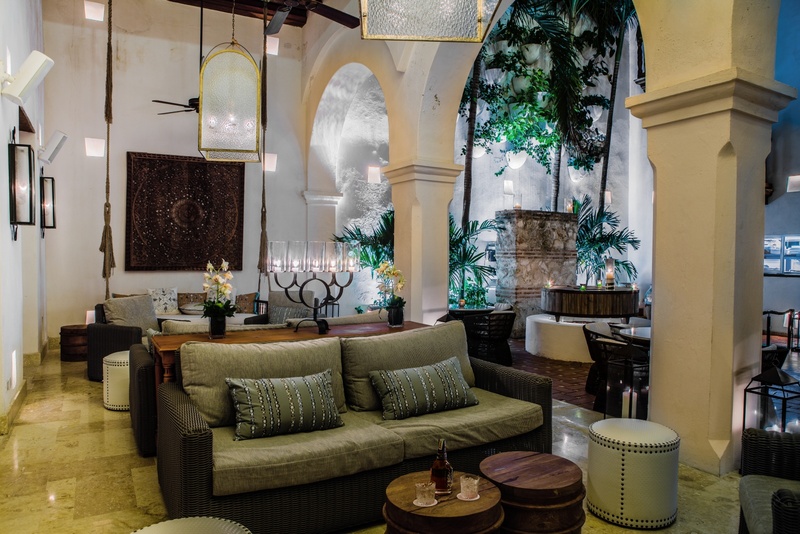 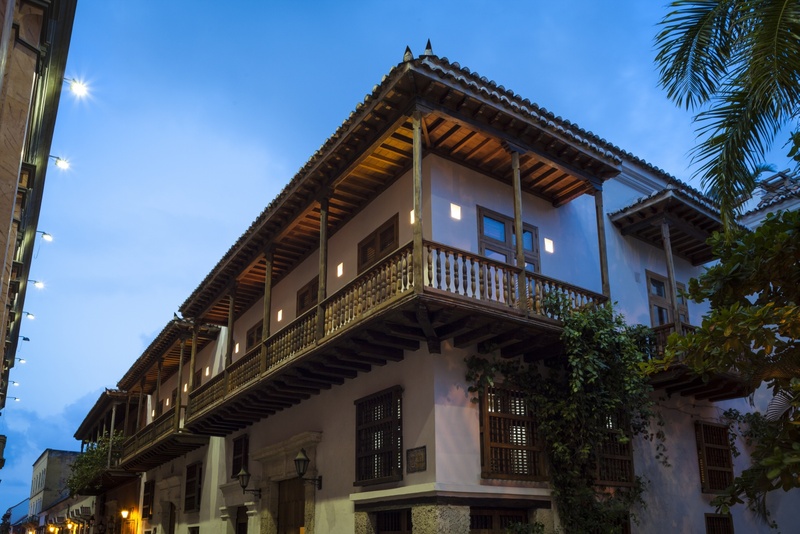 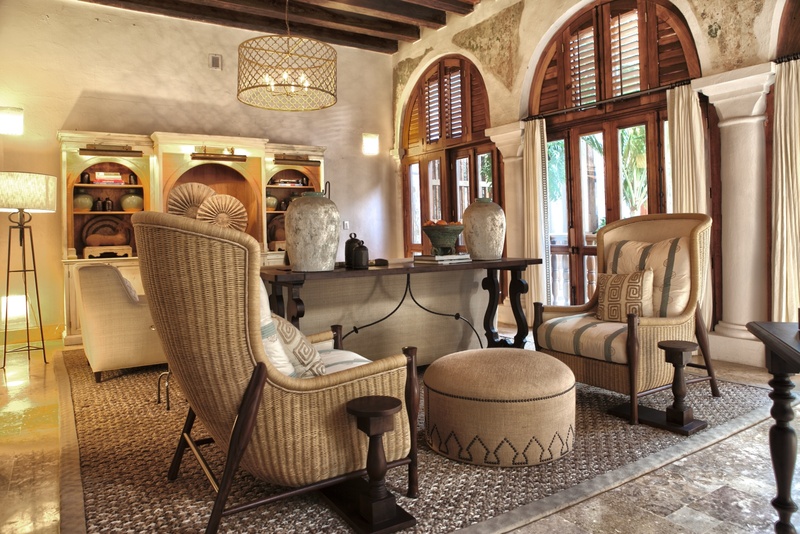 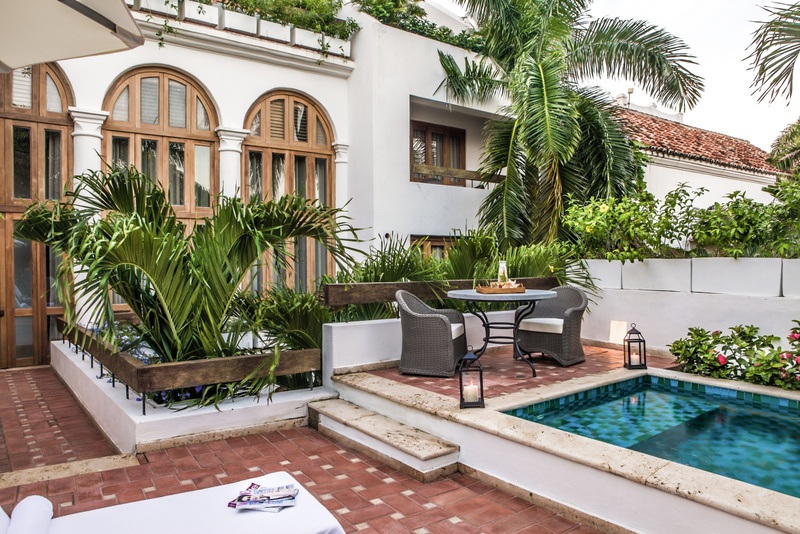 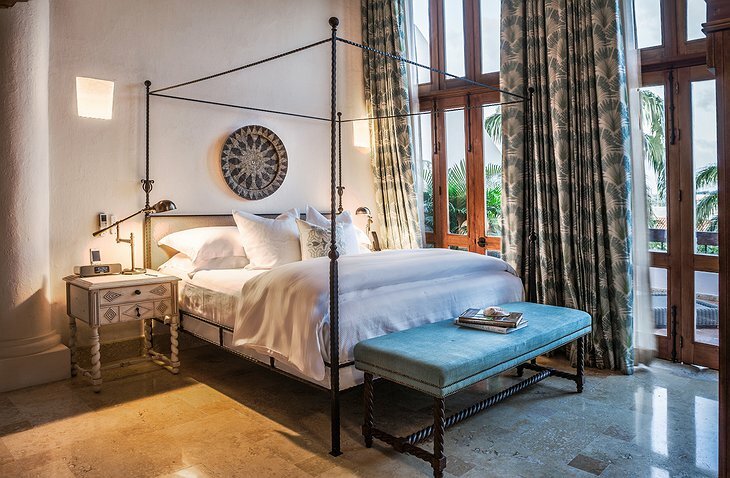 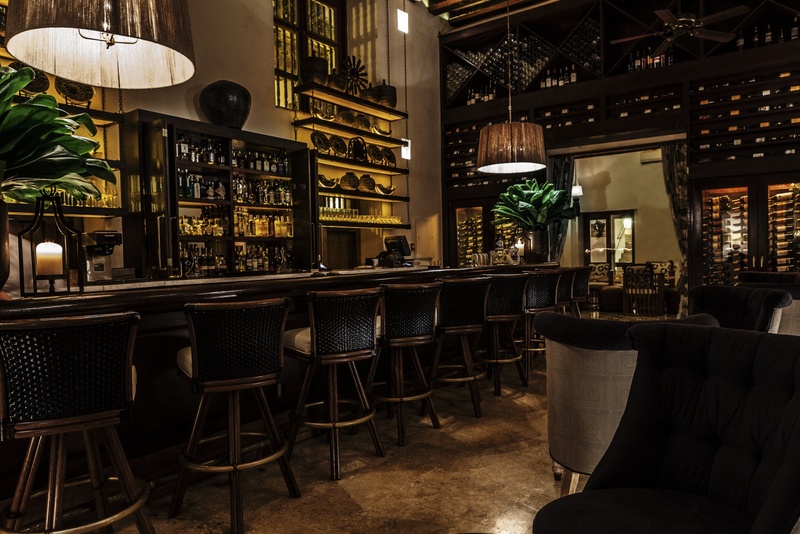 The location is the UNESCO World Heritage town of Cartagena de Indias which dates back to the 14th Century. 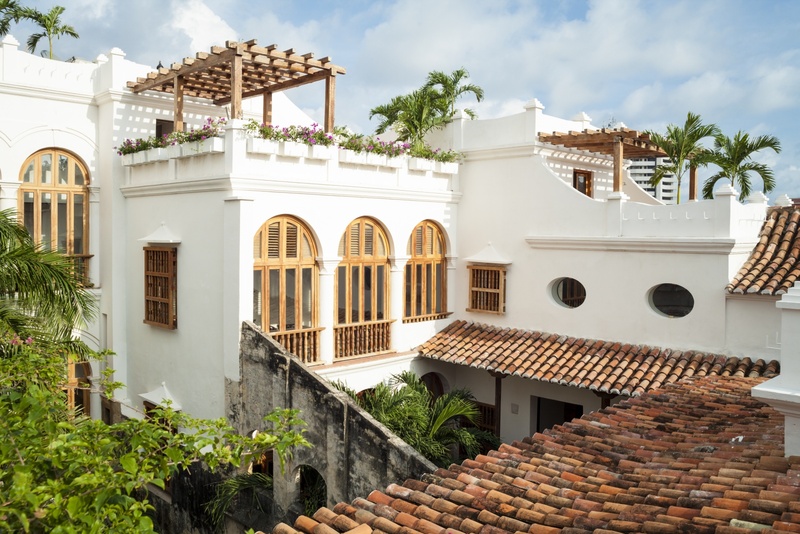 The town was an important port in the West Indies bringing wealth into the city and causing casas and grand buildings to be built as well as strong fortifications to defend the town from pirates. 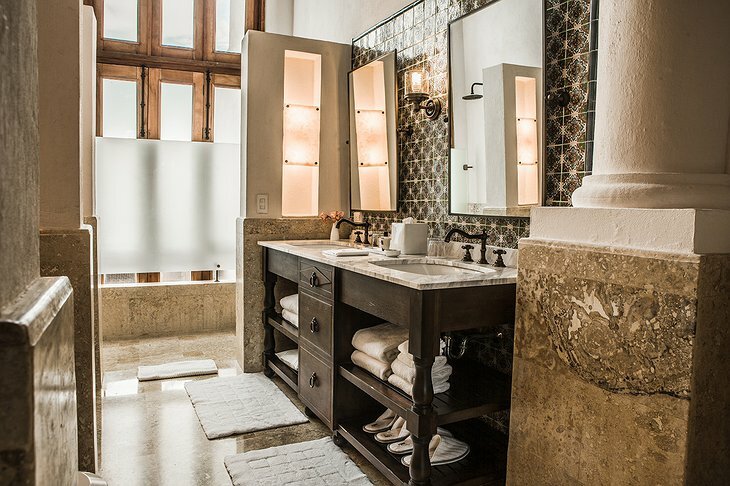 The hotel has 24 rooms featuring specially commissioned furnishings and top-end bathroom products. The hotels’ restaurant features fresh seafood and local cuisines all of which you can eat in the fresh outside air. 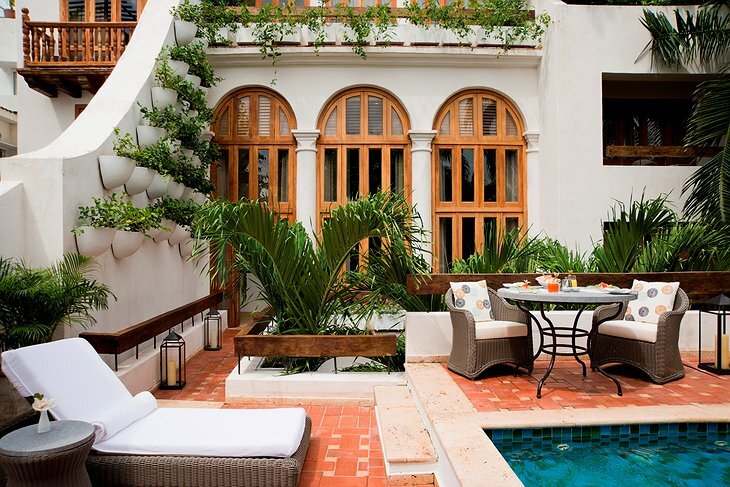 The courtyard is a perfect place to partake of a pink cocktail after a day at the beach or sightseeing.